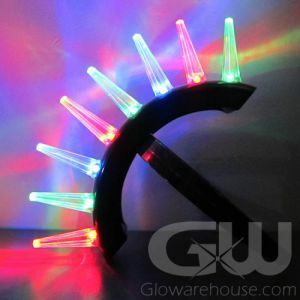 - Glow in the Dark Hair Noodles Head Bands! - LEDs Flash with Red, Green and Blue Light! 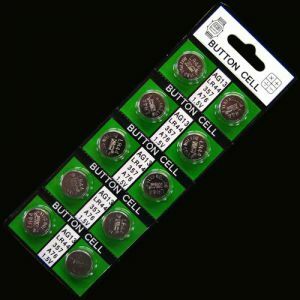 - Batteries are Already Installed! - Spring Break! Festivals! Halloween! 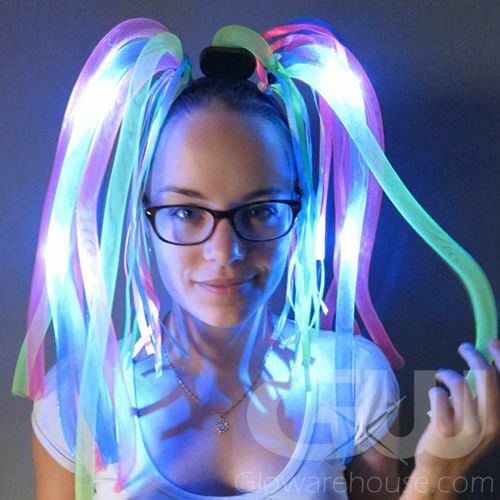 Never have a bad hair day again with Glow in the Dark Party Dreads! 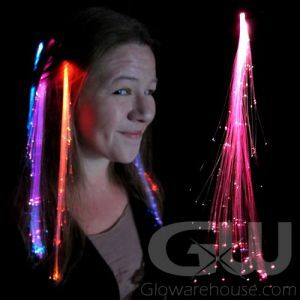 Flashing LED Hair Noodles Headbands have awesome flowing colored 'dreads' that light up with Blue, Green and Red flashing LED lights! 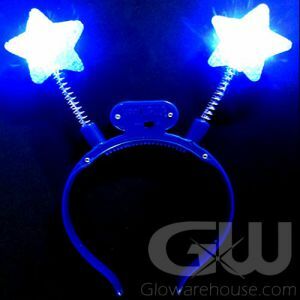 The Light Up LED Party Dread Deely Boppers are an fun addition to any Spring Break party, dance, birthday or glow in the dark event. 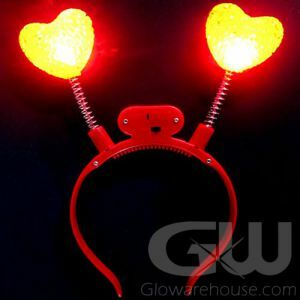 Perfect for crazy club costumes, EDM festival outfits and Halloween parties! 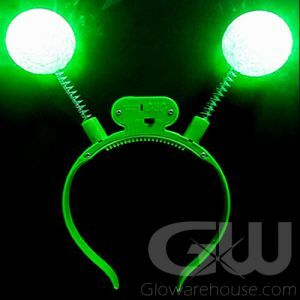 Each Glowing Hair Noodle head band comes with three pieces of button cell AG13 Batteries that are already installed (and are replaceable). 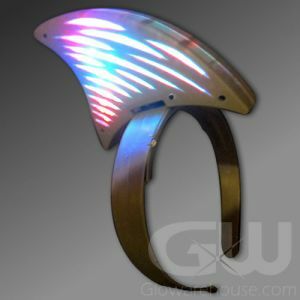 To use, simply remove the battery protector tab and turn the switch to "on" to make the Light Up Dreads flash with multi colored lights!